Magoline Montgomery, 80, of Springfield, passed away October 25, 2018 in Springfield Regional Medical Center. She was born July 15, 1938 in Magoffin County, Kentucky, the daughter of Estell and Flora (Allen) Conley. Mrs. Montgomery was a member of the Lil County Church. She enjoyed cooking and traveling and had been employed in the bakery at Fulmer’s for 13 years, Schuler’s for 10 years and Meijer until her retirement in 2003. 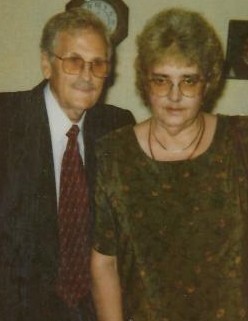 She is survived by five children; James (Tammy) Montgomery, Xenia, Vickie (Dave) Walker, South Vienna, Debbie Montgomery, Springfield, Linda Montgomery, Atlanta, GA and Gloria Dickinson (Ric Beedy), Springfield, grandchildren; Jessica, Jennie, Kyle, Jenni, Cassie Jo, Sarah, Annie, Chris, Rachel, Danny, Trent and Barry, great grandchildren; Gabe, Cody, Alexa and Carson and special friend and relative; Ruby Koster, Springfield. She was preceded in death by her husband; Arvil Ray Montgomery, January 2, 2002, a son; Elwood Montgomery, a grandson; Jamie, great granddaughter; Cady and her parents. Visitation will be held from 5:00PM until 8:00PM Wednesday in the JONES-KENNEY-ZECHMAN FUNERAL HOME. Funeral services will be held at 12:00 Noon Thursday in the Lil County Church, Columbus Road, with Pastor Chuck Graham and Pastor William Prater officiating. Burial will follow in Rose Hill Burial Park. Condolences may be shared at www.jkzfh.com.